I was very slow to make a start on this quilt and I think because of this I figured out what I was doing in sketch form before I looked for fabrics. This is an unusual approach for me as I am usually seduced by the fabrics first. T his method has resulted in a sketch book, which is bursting with samples and ideas, but I wonder if I will put it to use in the future; we’ll see. Also, the technique I intended to use was already in my mind – transfer paints. I have used them in the past but not in any significant way and this quilt gave me an opportunity to sample. 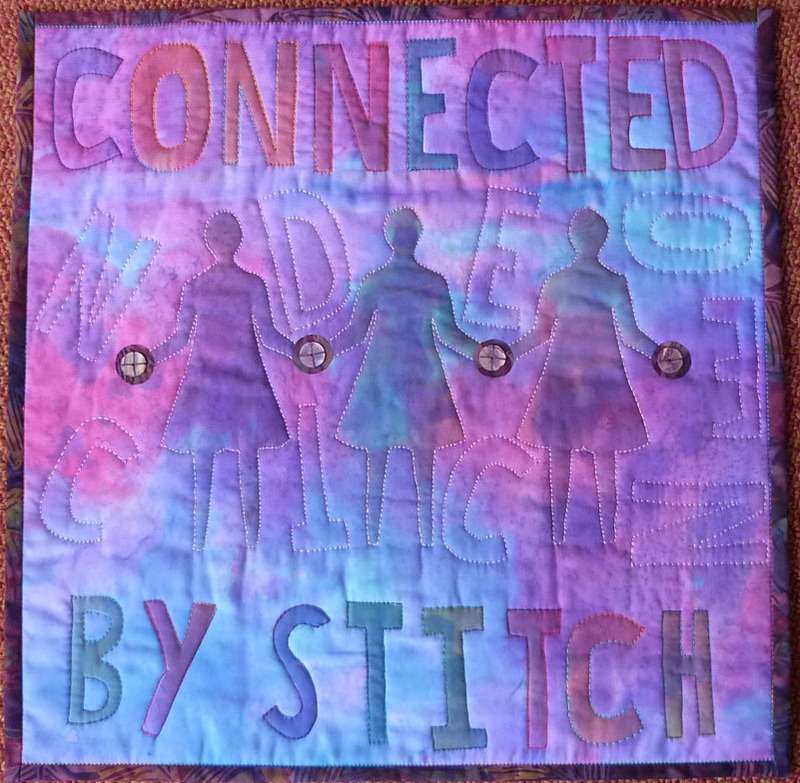 My quilt represents to me the way our group is connected by stitch and the ‘ladies’ have blank faces because I do not know many of you by sight, so that seemed an apt way to portray friendships that have been created solely by the love of stitch. 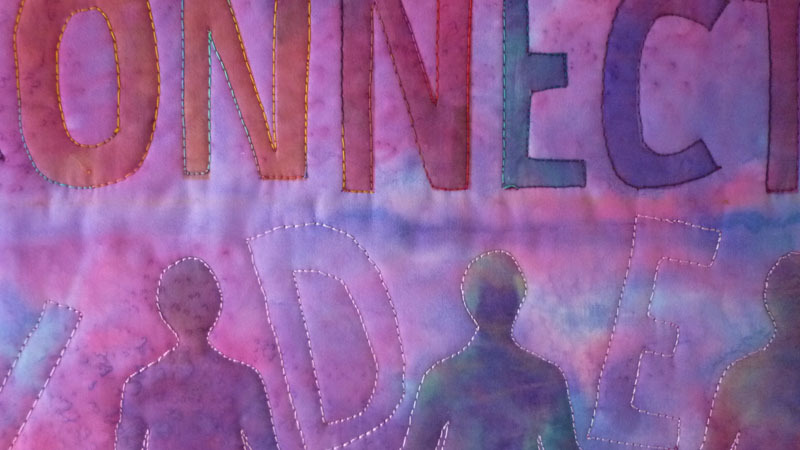 The transfer paints give unpredictable colour results and much depends on the colour of the fabric on which they are printed. My background is a dyed poly/cotton shirt which once belonged to my husband and when he wore it was plain white, but as soon as he retired all his white shirts were put to much better use.